There's no denying that the mobile phone sector is now the king of communication. Similarly, they are slowly creeping up as a necessity for productivity and this is no more evident than in the business world. How do you choose one for yourself? Read on. 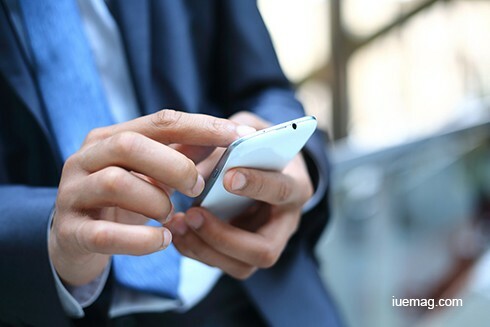 Business mobile phones have become a staple of everyday operations with millions of companies worldwide taking advantage of the apps and features available to help with running the organisation. Although handsets are generally designed with a consumer in mind, it doesn’t mean that there aren’t countless ways you can benefit. What should you be looking for when sourcing devices though? Above all else, there are a few key considerations to take into account. As a business your primary source of communication is likely emails. Whilst most modern handsets offer email functionality, you should ideally find a model that incorporates push email. This system pulls messages directly to your device when they reach the mail server without delay. This allows for instant access and correspondence regardless of wherever you may happen to be at any given time, meaning important and potentially time-sensitive information isn’t missed. If you truly want to use a business mobile as a substitute for a computer, you’ll need to make it as similar to your PC as possible. One of the main points is the QWERTY keyboard set up. Whilst many of the most recent devices do feature this style, the odd numeric keypad does still exist. If you really think that pressing the 7 button four times for the letter “t” works then that is fair enough but the QWERTY keyboard offers a much improved efficiency, hence its almost universal inclusion. Productivity and organisation are vital for any thriving business and there’s a whole host of features to look out for. Calendars, memos and the ability to seamlessly link them can see your company reach the next level so they’re worth looking out for. With these gems, you have the power to know where and when a meeting is and what you need to do in preparation. You could even find that you can sync calendars and notes with your email if you find the perfect handset. An operating system (OS) manages almost every aspect of your device. From user interface to handling apps, OS is the very heart of a handset. You may be swayed by your personal device or have a preference already but it is definitely worth checking out the benefits of each OS, especially if your business falls under a specific sector. The main reason being in that apps, both preinstalled and acquired through an application marketplace, may run differently on each system and aren’t guaranteed to be available for every OS. This may prove critical if your company needs to use a niche app that can run better, or even at all, on varying systems. Making and receiving phone calls and texts requires at least some level of network signal. Where network connection isn’t always at its best, Wi-Fi can help to make sure that you don’t miss communication. It’s a lot more common now than in the past but Wi-Fi calling capability isn’t a uniform feature across all business mobile phones. If this is something that you feel you need – and let’s face it we’ve all experienced some degree of dropped signal at one point or another – sourcing a device with this ability is crucial. Of course it isn’t all just about the handset. Finding the ideal tariff on a network that is right for you plays a huge part in finding the perfect deal. Determining allowances of minutes, texts and data is your first step as you don’t want to find you have too much or not enough to effectively carry out business tasks. It’s also fairly crucial to note that each network will vary by 4G speed and location meaning some will provide quicker connection whilst others may thrive in certain geographical areas. Also, don’t forget the price is something that you’ll need to factor for so comparing available plans and offers is never a bad idea. Making an educated decision on choosing business mobile phones is vital. You don’t want to just settle for the first you see – both you and your business deserve more than that. Carefully assess exactly what you need and use this information to make the right choice. Remember not to be swayed by others, what you need and what they need may be two entirely separate things. Finding a mobile provider that listens to your needs and helps you accordingly will stand you in good stead for years to come. Any facts, figures or references stated here are made by the author & don't reflect the endorsement of iU at all times unless otherwise drafted by official staff at iU. This article was first published here on 13th September 2016. Tonia Badlwin is a contributing writer at Inspiration Unlimited eMagazine. The Recursive WHY: Your biggest boon for Life.